The school nurse administers first aid only. She does not diagnose illnesses, but takes note of symptoms and notifies the parents of her observations. A student should be kept at home when ill, and the student should have a normal temperature for 24 to 36 hours without the need for a fever reducer after any illness before returning to school. This is important for the health of the child and for the health of all children at the school. 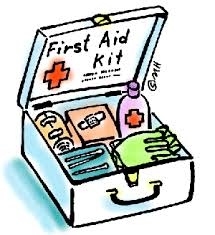 If a student becomes ill or is injured, he/she will be given first aid and the parent/guardian notified. In no case will a child be sent home until the parent/guardian or the person indicated by the parent/guardian has been contacted. Every effort will be made to contact the parent/guardian first. If the parent/guardian is unable to come for the child, arrangements must be made for his care by the parent/guardian. In an extreme emergency EMS or an ambulance designated by a parent/guardian will be called. The nurse has the responsibility if she suspects a contagious health condition to request that the child be picked up by the parent or guardian and examined by a physician for diagnosis and treatment. In the event of a contagious illness, please notify the school upon confirmation of diagnosis. Students are always permitted to call a parent from the clinic telephone or from their mobile device however if a student must be picked up I will speak to the parent as well. PLEASE KEEP YOUR EMERGENCY PHONE NUMBER UPDATED IN THE CLINIC. About me...I have been a registered nurse since 1997. I graduated from the University of the Incarnate Word. My nursing career has been focused on pediatrics, community health, and I also am a nursing clinical instructor for Galen College of Nursing. I've raised three awesome kids who all have attended Northside Schools.